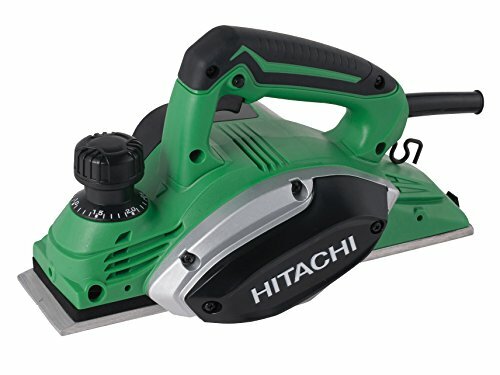 110 Volt.The Hitachi P20SF Electric planer is compact and lightweight with a soft-grip handle. It has an adjustable cutting depth with aluminium base with V groove for chamfering and a protection foot on base. With a high no-load speed for a smooth finish, a chip and dust ejector port, double edged resharpenable blades and a cable management hook. Specifications: Input Power: 620 Watt.No Load Speed: 17,000/min.Cutting Width: 82mm.Max Cutting Depth: 2.6mm.Weight: 2.5kg. Standard Accessories Include:Blade.Blade setting gauge.Guide.Wrench.Carrying case.